Sept. 20. Allen Tate Cos. and Howard Hanna Real Estate Services, the largest family-owned real estate company in the nation, have formed a new joint venture with ownership interests from both companies. Allen Tate, established in 1957, is the fourth-largest private, family owned firm in the country. “This union brings together first-rate real estate professionals from two of the most respected and trusted companies in the business and blends them into one unified organization,” said Pat Riley, President/CEO of Allen Tate. Allen Tate is a force not just in Cabarrus and Lake Norman but all the Carolinas. The move creates an East Coast/Mid-Atlantic/Midwest giant with more than 11,000 agents and employees in 326 offices across nine states. “The similarities of our two great companies are amazing and are the reason we have been successful individually. They serve as a road map to the combined success we intend to create via joint ownership,” Riley said, calling the new partnership a “shot over the bow” of independent firms. Riley said Hanna will be the company in the North while Allen Tate will be the company in the South—no sign changes, no name changes. “It will be seamless for the customer,” an Allen Tate official said. Both companies are full-service, offering mortgage, title, relocation and insurance products to buyers and sellers, in addition to brokerage services. Both companies are members of Leading Real Estate Companies of the World, a powerful connection in the world of independently owned residential real estate companies. “This partnership speaks volumes as far as ensuring our clients will continue to receive all the services and homeownership products they have been accustomed to and so much more,” Riley said. Combined, the two firms facilitated more than 119,000 home sale transactions in 2017, with a closed sales volume of more than $24 billion. The partnership makes the two companies the top residential real estate producer in Pennsylvania, Ohio, New York and the Carolinas. 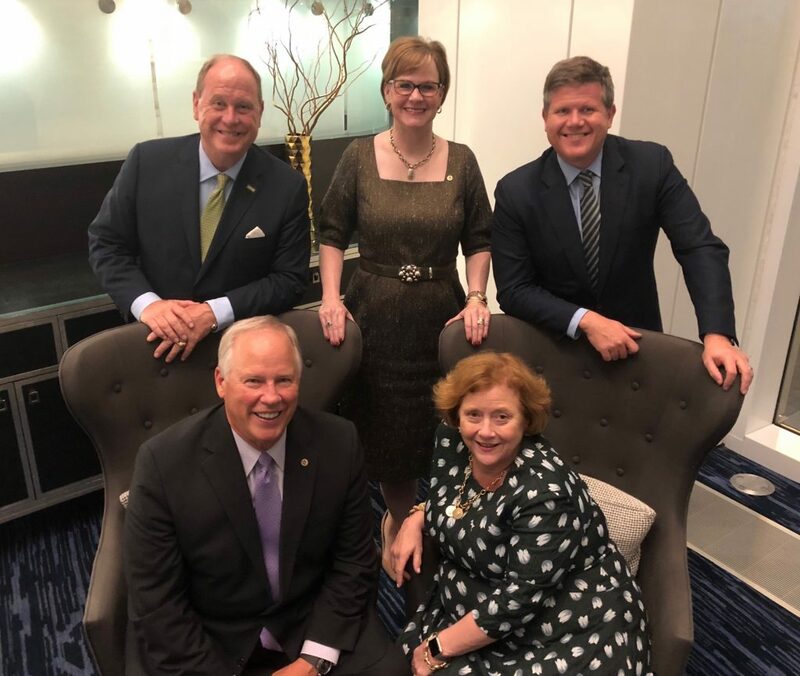 “Howard Hanna and Allen Tate have grown up together in the industry, and together, we will continue to do great things,” said Hanna Holdings Chairman Howard W. “Hoddy” Hanna III. Both companies were established in 1957. Founder Allen Tate, a dynamic leader in Charlotte business for five decades, died in 2015 at the age of 84. Howard Hanna Real Estate Services is the third-largest real estate company in the United States, and the largest home seller in Pennsylvania, Ohio, and New York. It has 279 and more than 9,200 sales associates and staff. Allen Tate, one of the most recognized business names in the Carolinas, has more than 2,100 real estate professionals and employees.